This morning the new ship of Holland America arrived in Funchal. 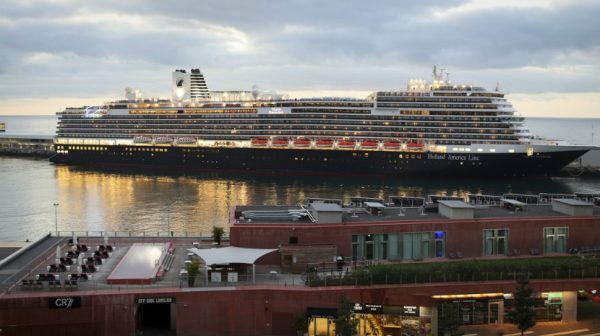 It is the ‘Nieuw Statendam’, which completed the tests at sea earlier this month and which, in this commercial launch at sea, has one of the first stops in the Madeiran capital. The ship is capable of receiving 2,650 passengers and its cabins are marked by a modern and contemporary style that blends in perfectly with the traditional elegance of which Holland Amercia Line is recognized. The 285-meter Nieuw Statendam, weighing 99.5 tonnes, is already considered to be the best of the Dutch company, which has chosen hostess Oprah Winfrey to be the godfather of the vessel.